TongaFootball > News > Refereeing > Refereeing becomes a family affair. 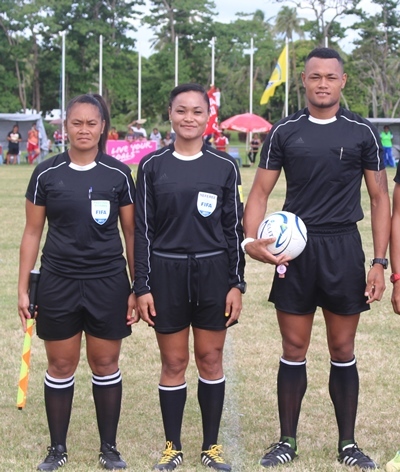 The final match on the Match day 3 of the TFA Women’s League Stage 2 were officiated by Sione Lelenga and his two sisters. 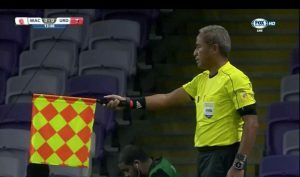 Sione Lelenga was the referee while Lataisia Kaumatule the first assistant referee and Paita Lelenga the fourth official. ‘’It is a great moment, when we were called to officiate the final match between Veitongo United and Navutoka. For the first time in history since I started with refereeing,’’expressed Lelenga. ‘’They did not know how excited I was when they announced the last trio, that I would work together with my two sisters. I knew exactly that they will both assist me. I felt very secure and confident knowing that I’m with them’’ Lelenga added. 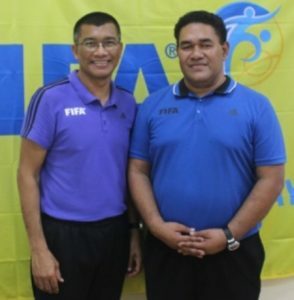 Lataisia Kaumatule has been a FIFA Assistant referee for more than 7 years now, and Paita Lelenga has started her career as FIFA Referee since 2015. ‘’I was an athlete when I grew up, and I also loved to play touch rugby. When I realized what my sister Lataisia went through being a soccer referee I asked her if its possible for me to join. She did not give me a yes or a no, but the smile on her face invited me to come and try’’. ‘’If you do something with all your heart, you will succeed,’’ my father advised! “First important thing is to sacrifice and obey”. ”Whatever our father said, we listen and we do no matter what,”says Lelenga. ‘’Sione Lelenga’s two younger brothers are also recruited with the Futsal refereeing’’, Vea added. Mr. Inoke Tuífutuna Lelenga, Sione Lelenga’s father says, ‘’Praise be to God, as he has heard me praying and begging to be with my little family, and I trust God answered my prayer’’. ‘’I am so proud of my children, as they really listen to me, whatever amount of run or work I command, they follow quietly. I did explained to them, they must do a big sacrifice in order for them to be successful. The sacrifice I’m talking about is not just for my children, but I am also included as well’’, he added. Mr Inoke Tuífutuna Lelenga, is now 55 years of age, married to Fifita Lelenga and they have 7 children in total. Mr. Lui Aho, TFA General Secretary says, ‘’I am very pleased with Inoke T. Lelenga, for being the no. 1 supporter of his children. 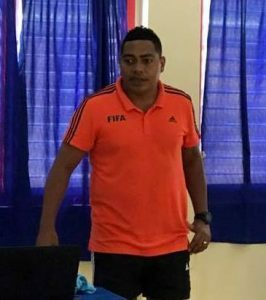 Every time I saw Inoke here at the Football academy, he is just following his children to ensure they attend the trainings or the games. ‘’I believed his children are aware of his presence and that urge them to work extra efforts so they could achieve their goals, ‘Aho said. Ms. Lataisia Kaumatule has been appointed for three FIFA Women’s World Cup since 2007 in China, two Alrgave Cup, 2 FIFA Women’s U 20 World Cups and few OFC qualifying tournaments. Paita Lelenga’s first appointment in 2015 for the Pacific Games in PNG and again to Cook Is for the OFC Women’s U 17 qualifying last year. Previous Post Navutoka finished in style! Next PostPresenting TFA direction to the Haápai Football!